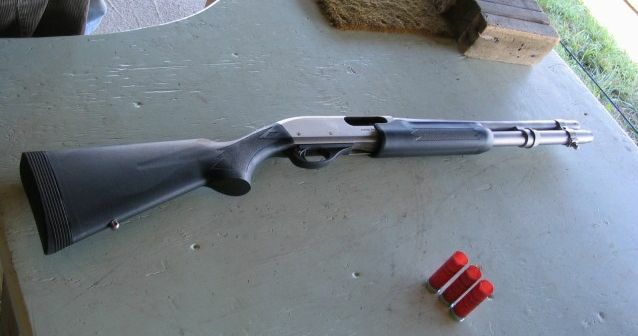 The Remington Model 870 is the world’s best-selling shotgun. Since 1951, over ten million of these pump-action firearms have been made. For M870 owners, the shotgun that matters most is the one that’s held in their hands. A firearm’s look and feel matter, of course, but sleek lines and collectability won’t compensate for jamming and failures-to-eject (FTEs). In the woods, at the range, or in the line of duty, it's accuracy and reliability that count. That’s why gunsmiths, gun owners, and firearms manufacturers use Flex-Hone® for Firearms tools. Ready to start the New Year with a bang? Then head to SHOT Show 2016 later this month. From January 19 to 23, 2016, members of the shooting, hunting, and outdoor trade (SHOT) industries will gather at the Sands Expo Center in Las Vegas for this trade-only event. Buyers and sellers of military, law enforcement, and tactical gear are also invited to attend this exclusive conference and tradeshow. Sponsored by the National Shooting Sports Foundation (NSSF), SHOT Show spans 630,000 net square feet and features 1,600 exhibitors. With more than 62,000 industry professionals on-hand, you'll want to make the most of your time on the tradeshow floor. Don’t lose sight of the target. Start planning now. Request a meeting with BRM in Booth #1617 and find Flex-Hone® for Firearms tools for gun maintenance.